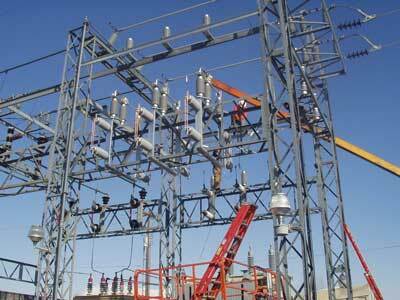 Equisales brings quality equipment, expertise, fast-response times and value to critical energy projects worldwide. Develop a partnership with our industry-leading team to access the resources that are needed to complete facilities, overcome logistical challenges and increase profits. When problems arise, we focus on developing high-voltage solutions that lead to faster build-outs. By directing expenses toward the most important items, we have helped IPPs and global energy leaders avoid penalties, downtime and costly production delays. As a full-service engineering, procurement and construction (EPC) company, we can take high-voltage substation and power generation projects from planning to completion. When suppliers drop out or encounter delays, we can step in to perform specific tasks that are essential for staying on schedule. We are constantly expanding our service capabilities to deliver a greater value off-site and in the field. Advanced equipment and exceptional maintenance personnel guarantee the highest level of service to our high-voltage customers. When it comes to diagnosing and repairing transformers or installing a custom-designed substation in a remote location, we use our corporate capital, mobile units and engineering teams to complete projects quickly while offering competitive prices. Standardized training programs and best practices mean that repairs, maintenance and emergency services are completed with the same quality no matter which team is in the field. If an SF6 circuit breaker fails or a transformer needs a major upgrade, our repair and manufacturing experts can complete the job quickly and professionally. When downtime means production setbacks or service interruptions, we offer emergency rentals and replacements that will protect your power supply and profits. During substation construction and power generation build-outs, our fast-track solutions can help your business access new opportunities. Effective planning can reduce the cost of energy procurement and help clients expand to new markets. The ability to plan and build facilities in remote areas can change your business outlook dramatically. When you add fast-track EPC, your firm can meet electricity demands in months, not years. Fast-track solutions are changing the energy procurement economy. Now, industrial customers and utility providers are able to satisfy current demand for electricity while avoiding the cost and complications of long-term projects. With our supply network, manufacturing facilities and field technicians, it is possible to have equipment ready for operation in 8 to 12 weeks. Fast-track solutions are ideal for rapidly growing areas. In coming years, 1.5 billion people will gain access to reliable electrical grids. Field-ready substations will be instrumental in meeting this need. For time-critical projects, we bring expertise to growing markets where local contractors lack experience in the construction of large-scale energy facilities. To arrange a consultation or to schedule immediate service, call 713-733-3999. We are available around the clock to address time-critical requests from high-voltage clients.